The weekly verified water storage and supply reports provide information about how much rainfall has been recorded, dam levels and how much raw water we have supplied to our customers in the Greater Sydney region. Total available storage as at 8 am Thursday 18 April was 56.1%, a decrease of 0.4% since last Thursday. * Maximum Sydney temperature, rainfall and water supply figures refer to the 24 hours to 8 am. * Click for full sized image. 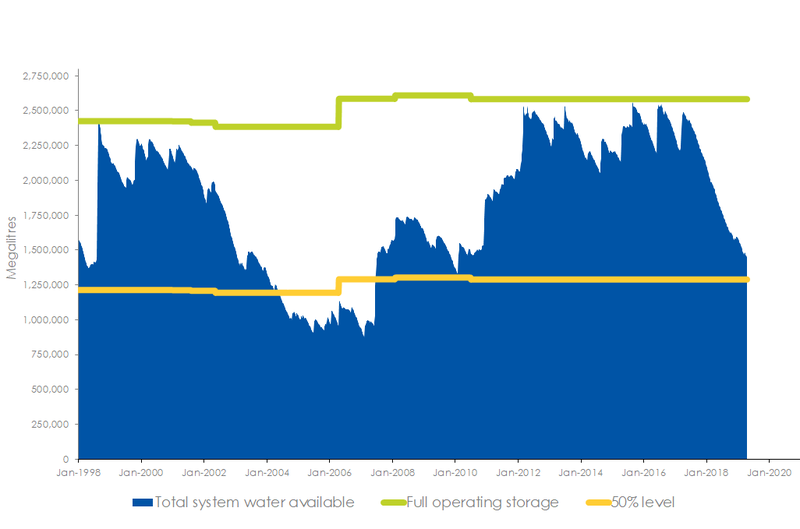 Subscribe to receive the weekly water storage report.